Who first will path RAM on fly? Such way will get power over all device as it would be without protection. Hello.It is so so great work!! But I wonder that can I reprogram firmware to already bricked PSP. If so,it's more than great work! it means,not to MODCHIP only. I certainly appreciate your posting thus far, but you really haven't provided any details, either on the board build, or anything. Great work. Are you going to sell this or be releasing it for free? If you will be releasing it for free, is it possible to get your Altera code? Did you write it in maxplusII? sorry, forgot this in my last post. When do you start mass development? I tried to find where I could buy that chip in the UK. Only found websites in US and China? What does this mean exactly? 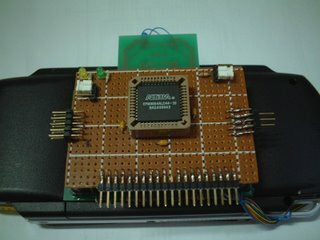 Are you hijacking the PSP's USB bus for your module? How exactly do you write to the secondary flash? Wait - so you need to be able to run code on the PSP to program the secondary flash? Can you not program it externally like you can apparently do with U.P? If this is true, what use is this module for people who have anything above 1.50 firmware and cannot execute code in kernel mode? Can you please provide details as to how this will fit inside the PSP and how the installation will be done. Still no details have been released on the U.P installation so I'm very curious if its even possible to get a "module" installed entirely self contained in the PSP.. Please tell me thats a joke? :) I've seen inside the PSP, the traces are tiny - its certainly possible to solder wires onto the NAND bus but please dont say its "easy", thats just misleading and if you're trying to sell this its a very bad idea to dupe people into buying it with the promise of an easy install, since they will eventually find out this is certainly not the case. It should only EVER be attempted by professionals with the correct equipment. Zappaz, you're right! This needs definitely expert solder skills. Same with undiluted platinum. This looks incredible. I only have one question.... If I got this, would it be able to run those "costum firmware" that I read about? how about flashing the firmware 1st on another PSP and then later transplating it over? 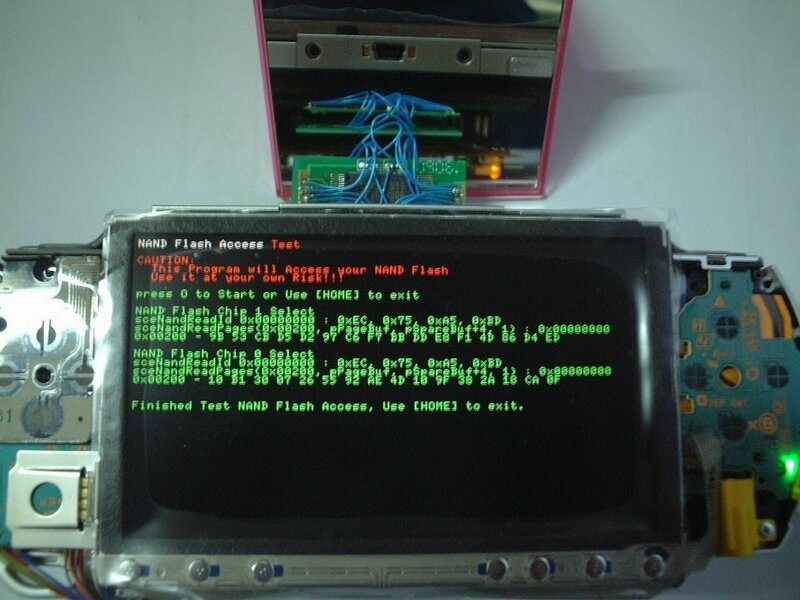 >>how about flashing the firmware 1st on another PSP and then later transplating it over? ryan: Not everybody has access to several PSP's, it would be much more convenient with an external flashing interface. 0okm: "PSP Multi Firmware module" is EASY Install than "UP"
How could you possibly know this? Do you have installation instructions and diagrams for U.P? If so please share! The fact is that both your MOD (short for "modification" ;)) and UP need to tap into the NAND bus, both will need to connect to the same parts of the motherboard. If anything the difficulty of installation will be equal, however according to the UP news release they will be shipping with "installation aids". You can't compare the installation difficulty until more information is made available, so please stop misleading people. 3) Claiming "480 Mbps High Speed USB 2.0" to be a feature is very misleading since its not a feature of the module at all. Perhaps you should make this more clear. - Your module is only flashable via PSP software, which means you will need a PSP with firmware 1.0 or 1.50 to program the module. This excludes the majority of PSP owners, and anybody who already has 1.0 or 1.50 has no need for secondary firmware anyway. Secondary firmware is only really useful for people with higher firmware versions who would benefit from a downgrade to 1.0 or 1.50. - It is not suitable for installers such as myself since it is not legal to ship PSP's to customers with the secondary flash pre-programmed to official Sony firmware. so this is dis-credit UP ?? hmmms...I dun really understand though...if this module is only for "multi firmware" why would it need the CPLD?? thx for you good job ! But I have an idee, why you don't use an external link like up for flash the nand by a PC ? Because I thing not many people will by this " multi FW"
Will you be able to install this on 2.60 psp? If PSP goes low power, there is data in RAM. If RAM goes low power maybe its auto-refresh does not need clock or only 1 line. Connect PSP and altera gnd. Bus is hi-z. Maybe Altera kit can wake up DDR RAM and make page reads, low speed is ok not 166MHz, but 10MHz. Refresh problem. Two BGA sockets needed. 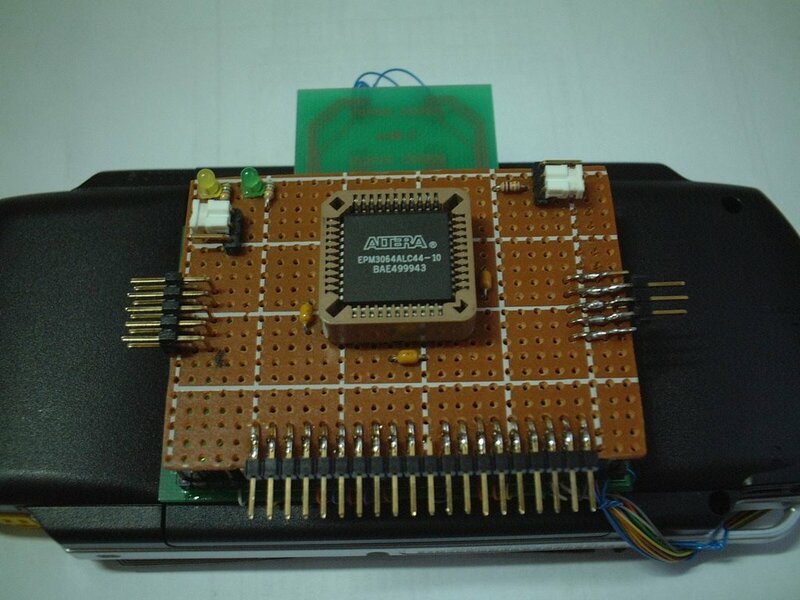 For BGA socket I thought LGA-775 pins, too large, too difficult. No good. LGA775 pcb is 60 usd, and 775 springs. But cheap. I do not think it will work. Full speed clock transfer impossible and PSP must source the clock so it depends if PSP reduces clock in low-power state. 1. insert chip between cpu and actual ram. in this case the cpu clocks might be reduced by chip as example and same time data injected into ram. Xilinx has some chips which might let to do that. The issues is that CPU might have no static design and its not possible to play with external clock. hardest way. The MCP might be soldered to small board which will have at other side reballed bga connection so it will be soldered instead of MCP. Also on same board should be FPGA.